Sometimes, my confidence gets me into trouble. “I should be able to do that, no problem,” I thought, when contemplating our RV remodel. As it turns out, I didn’t really know what I was getting myself into. I let the small size (we have a class B) fool me. After all, how long can it possibly take to remodel a mere 140 square feet of space? Turns out it can take a REAL long time. 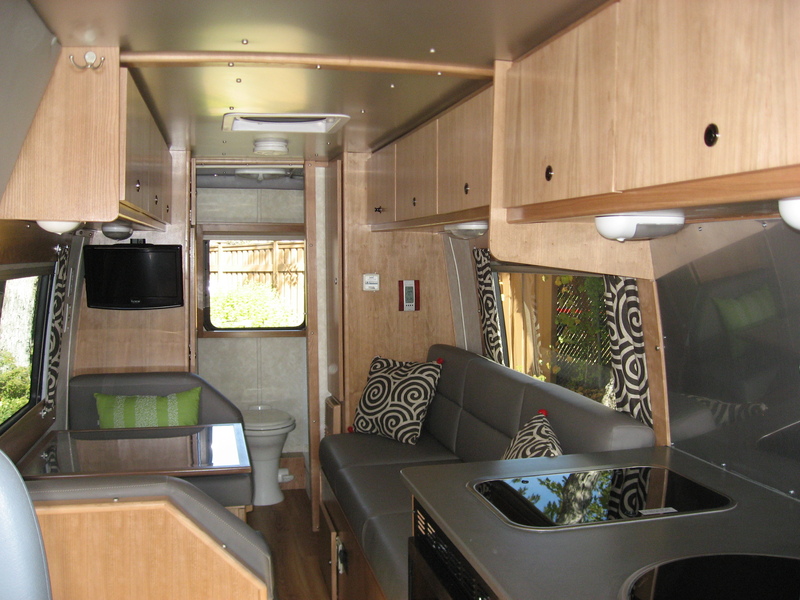 If you’re like me and you’ve got the itch to remodel your RV, there are a few things you should consider before you start tearing out those cabinets and ripping the fabric off the roof. I can tell you from experience that a full-on renovation will cost you about three times what you’re thinking – both in time and in money. At some point, you need to inject some reality into the mix and determine if it’s worth it. 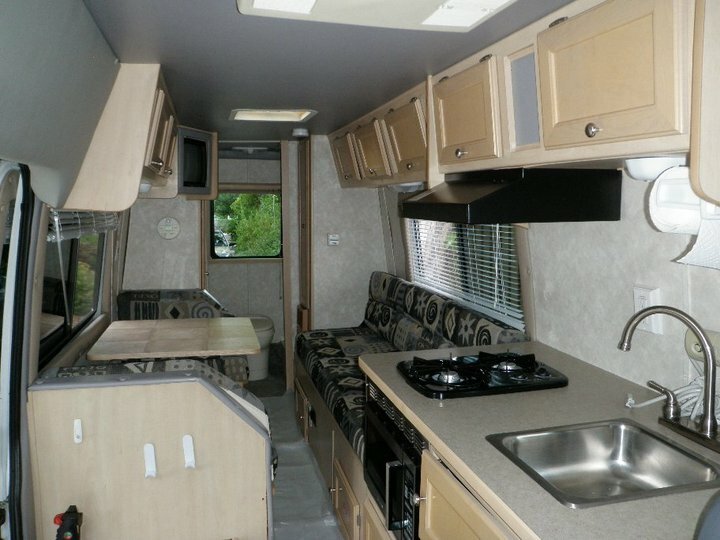 For example, if your RV is a motorhome, the renovation will only be as good as the platform you’re building it on. Are you building on a gas engine from the 1980s with 150,000 miles; or are you working on a late model diesel chassis? If the chassis heads south, then your time and money on the remodel will be wasted! And whether or not your RV has a motor, you need to think about things like rust damage and structural integrity. Much like you wouldn’t build a new house on a faulty foundation; try to take the same view with your RV. In our case, I was working from a 2000’s diesel chassis with only 80,000 miles. The vehicle was sound, and had only minor rust. I figured I was good to go ahead. In my case, I have zero auto body skills, my metalworking is very basic, and I had to hire out all of the upholstery. I worked my design to minimize the things I had to hire out. Be honest with yourself on your skills, and your up-front estimates will be better. The other thing that’s really different about RV construction is the attention to weight at every step. Remember, you’ll be driving or pulling it when you’re done. You won’t be building walls out of 2x4s and drywall. You’ll be using thin plywood – make sure you can get what you want. In my case, it took me weeks to find the ¼” thick veneer core plywood I wanted and get it shipped in. But I didn’t figure this out until I was already underway – causing delays in my project. When you’re done, then what? This was something I hadn’t considered in the planning phase. Once I was done with the remodel, I didn’t exactly have a 10 year old entry-level Class B coach anymore. I had something much nicer. I checked with my insurance, and they wanted to do an appraisal to properly insure the RV. And with that, my rates went up a bit. Your registration and DMV records won’t change but insurance may be something you want to check into. The bright spot here is that Coach-Net has still got your back. Coach-Net coverage extends to renovated RVs the same as it does for just-off-the-lot new ones. If you’re seriously considering the remodel, this is one less thing to think about. If you’ve considered the above, and you’re not running in the other direction, then an RV remodel might be in your future. 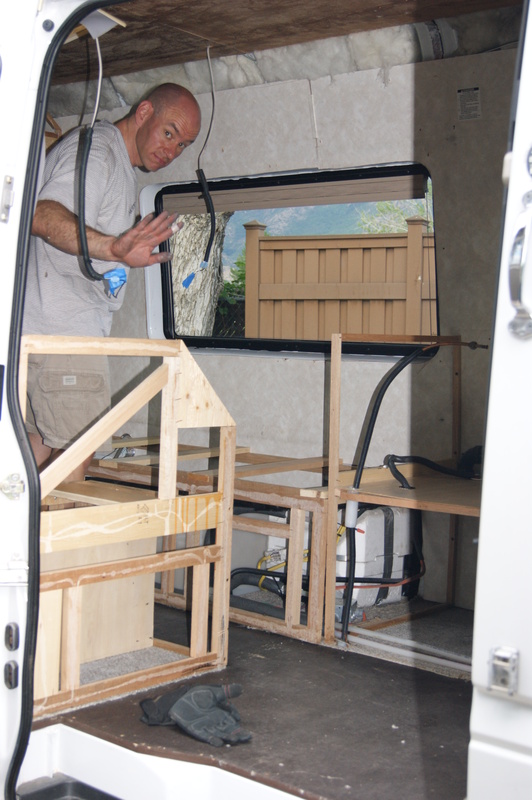 It won’t be easy, but in the end you get an upgraded RV, and the pride in having tackled the project yourself. See you on the road! From time-to-time we have guest bloggers post on our site. The views, opinions and positions expressed within these guest posts are those of the author. The accuracy, completeness and validity of any statements made within this article are not guaranteed. We accept no liability for any errors, omissions or representations. The copyright of this content belongs to the author.